In many biological or medical studies the effect of a treatment is monitored for a period of time at specific time points using metabolomics platforms. One of the approaches to analyze such high dimensional data is by combining ANOVA and multivariate analysis methods. Here we will show an example in which ASCA is used for the analysis of such data. Johan Westerhuis is an assistant professor Biosystems Data Analysis at the Life Sciences Institute of the University of Amsterdam. His main interest is in the development of new chemometric methods for the analysis of complex data in the area of human systems biology. In 2010 he won the EAS Award for Outstanding Achievements in Chemometrics. One of the recent research topics is Nutrikinetics where the faith of nutritional compounds in the human system is analyzed using population based models. Recently, he became an extraordinary professor at North-West University in Potchefstroom, South Africa, where he is involved in a large study on the metabolic effects of acute alcohol abuse. 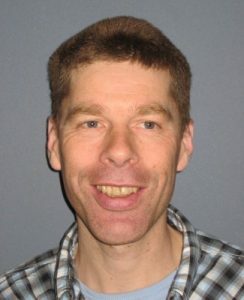 Johan is an editorial board member of Metabolomics. In his spare time he likes to play golf. I started studying chemometrics at laboratory school in 1987 with a focus on process monitoring and since 2004 the focus has shifted towards metabolomics applications. I have work a lot on multiblock models, validation etc. I like methods that try to use prior information to improve the analysis of complex data such as in proteomics or metabolomics. I think chemometrics should focus on getting good data from complex instruments as LCMS, looking for new methods that can incorporate prior information and methods population methods combine information of populations and the individual in that population. I hope to see some ideas on these topics at SSC16 as well as meeting some new enthousiastic young chemometricians with great ideas.